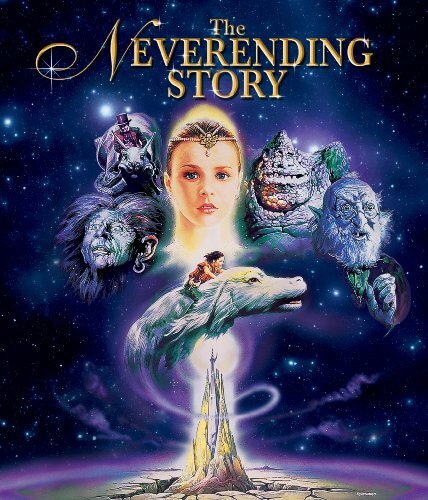 The Never Ending Story began life as a number of films have; it was originally a book, written and printed in Germany. I have not read the book, only the description. From that, I know I prefer the film. Speaking of which, the movie The Never Ending Story begins by showing us Bastian (short for Sebastian), as he has breakfast with his father. Bastian’s mother died some time ago, and Bastian’s father has been doing his best to take care of him ever since. Lately, Bastian’s been tardy in getting to school. Not only that, but his grades have been falling. In fact, his teacher has called Bastian’s father to report that when Bastian was supposed to be writing out math equations, he was instead drawing “horses” in his notebook. “What’s that?” Bastian’s father asks, having missed what his son muttered. “Nothing,” Bastian mumbles, but in a tone his father can hear this time. Bastian’s father extracts a promise from his son to “keep [his] feet on the ground and [his] head out of the clouds.” Bastian is unexcited by this promise, but he makes it anyway, knowing it will please his father. Bastian’s dad then heads out to work while Bastian goes to school. Halfway there, Bastian meets three boys who go to his school. The boys enjoy throwing Bastian in the dumpster, and though he fights hard, he ends up in the trash. This is the main reason Bastian has been late to school: the three bullies. Upset that he has been plunked in the garbage yet again, Bastian climbs out of the dumpster and starts on his way to school. But the bullies are waiting for him. They chase Bastian down the streets, trying to catch and grab him so they can throw him in the dumpster again. Bastian, for once, is faster than they are. He ducks into a store and hides behind the door. The three bullies rush on past, thinking Bastian has continued down the street. Bastian sighs in relief and, as he is getting his breath back, takes a good look at the store he has entered. It is a book store, filled with volumes of all sizes and ages. Mesmerized, Bastian wanders into the store further, where he meets the owner. The store owner angrily tells Bastian that only book-lovers are allowed in the store. He will find no video games here. Bastian tries to peak at the book in the owner’s lap. It is a large, worn volume, with a crest on the cover that shows two intertwined snakes. Suddenly, the store phone rings. The owner lays down the book, stands up, and goes to answer the phone. While he is carrying on his conversation, Bastian carefully writes a note on a scrap of paper. Then he picks up the book, The Never Ending Story, puts the paper down in its place, and hightails it out of the shop. The owner returns to find his book gone. He reads Bastian’s note: I’ll return it as soon as I’ve read it, the writing promises. The owner goes to the door of the shop and peers through the glass. Strangely, he smiles in a very satisfied manner after Bastian’s disappearing figure. Bastian makes it to school and heads for his math class – only to find that there is a test in progress. Thanks to the bullies, he is late for a test he is not prepared for. Knowing he cannot enter the classroom in the middle of the test, Bastian escapes to the school’s attic (since when did schools have attics?). There, he pulls up a pad, lies on his stomach, and opens the book. There he begins reading the story of the land of Fantasia, where all kinds of fantasy creatures live. The peoples of Fantasia are greatly disturbed. It seems a mysterious void known only as “The Nothing” is destroying their world. For instance, a Rock Biter describes how a lake in his people’s country was there one day, and then simply gone the next. It did not dry up or turn murky, and no one drank it dry. One day it was there – the next it was gone, as if it had never been! An envoy from each of Fantasia’s people has gone to the Ivory Tower at the center of Fantasia to seek help from the Child-Empress. If anyone can stop The Nothing, then surely she can! Except that the Child-Empress has fallen ill. No one knows why. No one has a cure. So the Empress’s councilor has sent for a great warrior from the Plains People, one who has killed many of the Purple Buffalo and who is renowned for his fighting skill. His name is Atreyu. The ambassadors and the Empress’s councilor are expecting a grown man. But what they get is a boy no older than Bastian! However, the boy-warrior is their only hope. So the Empress’s councilor sends Atreyu and his faithful steed, Artax, to the Swamps of Sadness to seek counsel from a wise creature who lives there. Atreyu sets out at once. But unknown to Atreyu, a creature called Gmork is hunting him and Artax. Sent by The Nothing to kill the hero, Gmork will not rest until he has Atreyu in his jaws! If I have whetted your curiosity, readers, then I will leave my description of the story here. I saw The Never Ending Story when I was very young, and I loved it. I saw it again not too long ago, and found that I still love it. If you watch the film – or have already seen it – odds are good that you can understand why. 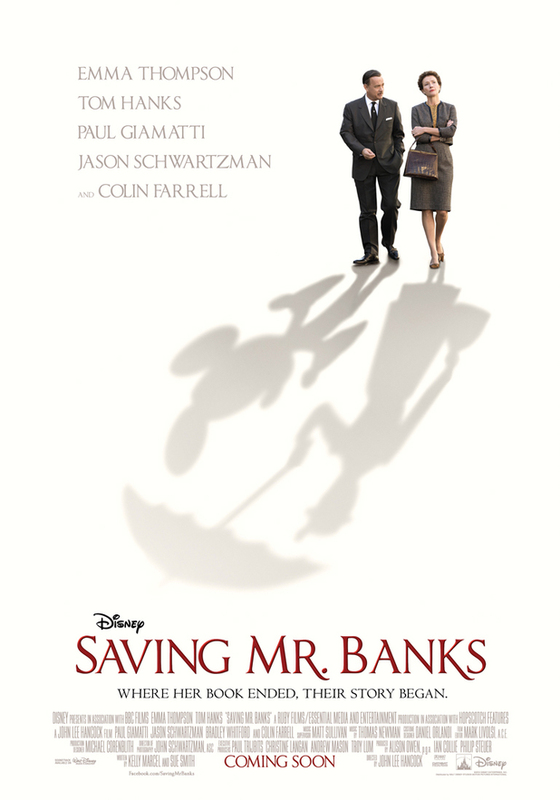 I highly recommend this movie to “kids from one to ninety-two.” It is applicable to people of all ages everywhere! This entry was posted in Movie Reviews and tagged Alan Oppenheimer, Barret Oliver, fantasy films, Gerald McRaney, Moses Gunn, Movie Reviews, Noah Hathaway, Patricia Hayes, Sydney Bromley, Tami Stronach, The Neverending Story on November 13, 2015 by The Mithril Guardian. I have always been fascinated with flying and being up high. The reason I mention this interest in flying is because, since I have this attraction to soaring, I am naturally fascinated by all creatures that can take wing. One of my favorite fictional flying creatures would of course, therefore, be DRAGONS! This is where the movie I wanted to discuss today comes in. It is a film called Dragonheart. 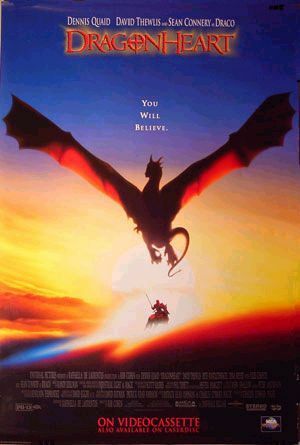 Dragonheart is a movie that the critics apparently panned, to their everlasting detriment. The movie focuses on a knight “of the old code” named Bowen (played by Dennis Quaid) who, in the first act of the story, is the knight appointed to instruct young Prince Einon in the ways of knighthood. Bowen starts out very cheerful and devoted to his young charge, hoping to change the young prince’s outlook on life so that he will not be as cruel a king as his father. That plan seemingly goes out the window when, after Einon charges out to help his father put down a peasant revolt, he is mortally wounded. Einon’s mother, Queen Aislinn, has Einon taken to a dragon (voiced by Sean Connery) who lives near the kingdom. She begs the dragon to save her son’s life and the dragon agrees, giving Einon half of his heart after the young prince swears to rule with justice and virtue. The Dragon’s heart saves the young prince’s life and at the same time grants him virtual immortality. So now everything is all hunky-dory, right? Eh, not so much. It turns out that Einon is a worse monster than his father. He enslaves the peasant rebels and sets up a corrupt court. Bowen, in his fury, blames the Dragon for Einon’s apparent change of heart and vows to kill him. Years later, Einon (now portrayed by David Thewlis) has a new castle and Bowen has become a champion dragon-slayer more interested in destroying dragons than in following the old code he so greatly revered and tried to pass on to Einon. Bowen eventually tracks down the Dragon, who reveals that Bowen’s last prize was his mate. The two battle but eventually end up in a stalemate. The alternative, it turns out, is defrauding people into paying heaping sums of gold to Bowen to “kill” the same dragon over and over again. All the while Bowen does not realize he has allied himself with the very Dragon he swore to kill. Nor does he realize that the Dragon, whom he at last dubs Draco, has suffered as much, if not more, with Einon’s rule than he himself has. I will avoid spoiling the rest of the film for you, readers, but I will say that it is worth your time to hunt up and watch Dragonheart. The film has two sequels: Dragonheart II: A New Beginning, and a third film which came out this year, Dragonheart: The Sorcerer’s Curse. Truth be told, I would be more interested in this third installment if it had been done earlier. But it was not. Rats. This entry was posted in Movie Reviews and tagged David Thewliss, Dennis Quaid, Dragonheart, Dragons, fantasy films, Movie Reviews, Sean Connery on March 20, 2015 by The Mithril Guardian.